Tan Ai Ngin was one of the sweetest and gentlest artists we ever had the pleasure to meet and work with. Quiet and assuming, she completed four solo exhibitions with Utterly Art, Backyards and Botanics (2005), Old Memories, New Impressions (2008), Backstreet Girl (2010) and Walkways Into Memory (2012), all of which met with enthusiastic support. 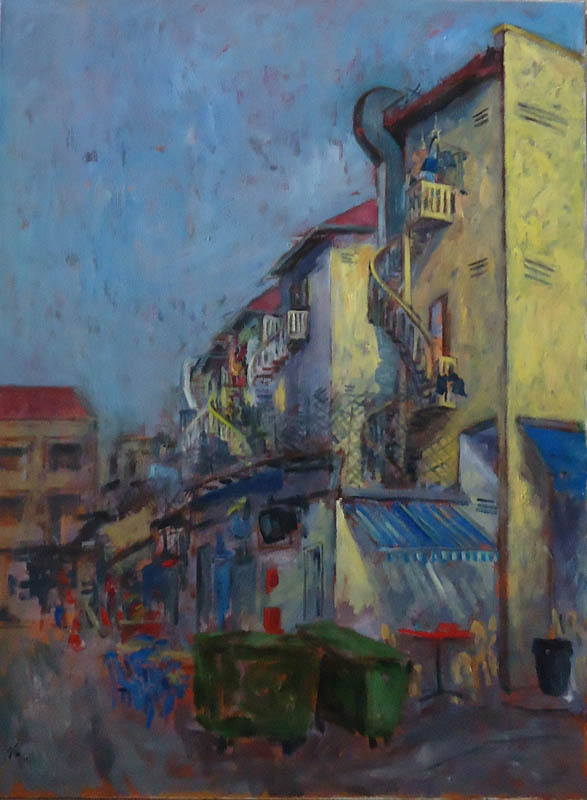 The exhibited paintings were largely inspired by older neighbourhoods such as Tiong Bahru, Kampong Bahru, Tanglin Halt, Geylang and Emerald Hill. However the memorial exhibition will show a number of other unexpected genres including still-lifes, nudes and self-portraits, as well as garden scenes from Holland, a country she had studied and exhibited in. Her abiding love of art motivated her to continue creating even after receiving a cancer diagnosis in 2011. She passed away in November 2013. The exhibition came about because Ai Ngin’s family wished to honour her memory by giving back to patients in need. 100% of sales proceeds will be donated to Bright Vision Hospital, in aid of needy patients.